Welcome to the Learning Resource Center! 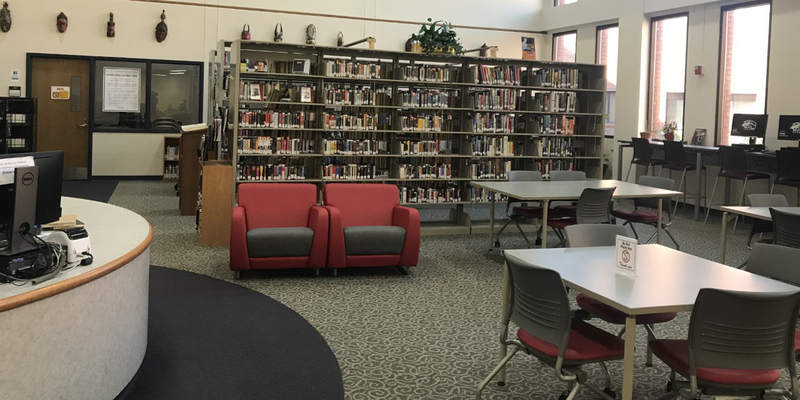 The SIUE East St. Louis Learning Resource Center (LRC) is organized as a full service public library focusing on youth and adult community outreach, programs, and collections. The library also contributes to the success of higher education opportunities and career development provided by the East St. Louis Higher Education Campus (ESLHEC). The LRC also serves as the on-campus school library space for the Discovery School Head Start students and the SIUE Charter High School students. The LRC team supports its diverse range of students and public patrons on the ESLHEC and encourages them to succeed and learn new skills provided by the LRC community collection and programs, while maintaining the overall mission, vison, and values of SIUE. Our innovative library services and programs are open to all students, faculty, staff, groups, and programs affiliated with the ESLHEC, as well as serving the East St. Louis community. Come explore the programs that are right for you and your family! Funding for the LRC is provided by the Illinois Community College Board (ICCB). About the LRCLearn about our mission and who we serve.Calender of EventsBe on the lookout for upcoming events this month! Support the LRCContribute to our ongoing efforts to serve the community. Programs & ServicesBrowse through our workshops, and see what is being offered. Our ImpactRead our Impact Story, and see why we love what we do! Contact the LRCAsk us your questions, or reserve one our resource rooms.